The Energetic E2STH Series DOT styled Roadway fixture reflects the traditional cobra head designs of legacy lighting, but delivers leading edge 135-140 LM/W performance. Offered from 40W to 150W, this series covers replacement of HID applications ranging from 100W MH/HPS to 400W MH/HPS. 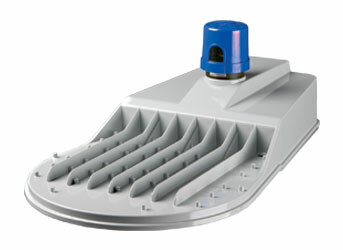 With optic options from Type II-S thru Type 5-H, any roadway configuration can easily be supported. Classic DOT features include adjustable tenon pitch positioning, bottom side control gear access, tool-less access covers, ANSI wattage plates, NEMA receptacles, SPD up to 20KV is available; and newer features such as 0-10V dimming occupancy sensing are available.